The more time you spend on your phone, it is more likely that suffer from depression , says a study. 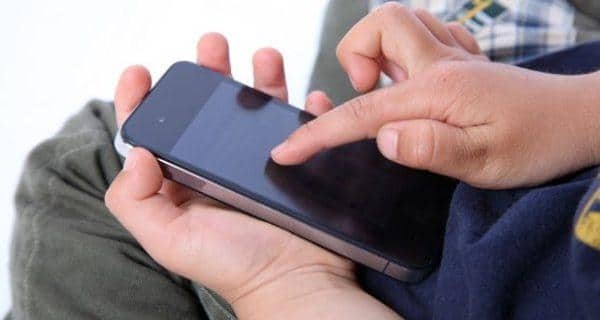 According to the researchers, depression can be detected from your smartphone sensor data by tracking the number of minutes you use your phone and your daily geographic locations. The team of Northwestern University found that the average daily use for depressed individuals was 68 minutes. For non-depressed people, which was about 17 minutes. Spending most of their time at home and most of their time in fewer places was also linked to depression. Also, having a less regular schedule of daily life, leave home and go to work at different times each day, for example, is also linked to depression. ‘With telephone and data GPS sensor, can detect whether a person has depressive symptoms and severity of symptoms without asking any questions, “said study author David Mohr Feinberg School of Medicine at Northwestern University. The phones can provide data discreetly and without any effort by the user. Based on the phone sensor data, scientists were able to identify people with depressive symptoms with an accuracy of 87 percent, according to the article that appeared in the Journal of Medical Internet Research. When people are depressed, they tend to retreat and have no motivation or energy to go out and do things. “People are likely to, when in their phones, not to think about things that are troubling, difficult relationships or painful sensations. It is avoidance behavior we see in depression. “The team analyzed using GPS locations and phone for 28 people over two weeks. The tracking sensor GPS every five minutes locations. The research could eventually lead to surveillance of people at risk of depression and allowing health care providers to intervene more quickly. “Let’s see if we can reduce symptoms of depression, encouraging people to visit more places throughout the day, have a regular routine, spend more time in a variety of places or reduce mobile phone use, the authors said. Beat depression with this new drug in one day! Forget therapy, acupuncture to treat depression! To more articles on diseases and conditions, visit our section diseases and conditions . For free daily health tips, subscribe to our newsletter . health related Q & A Click here!